Busted! I always suspected perxian is an attention freak. Don't worry, when you start to make sense, people will reply under your comment, okay? 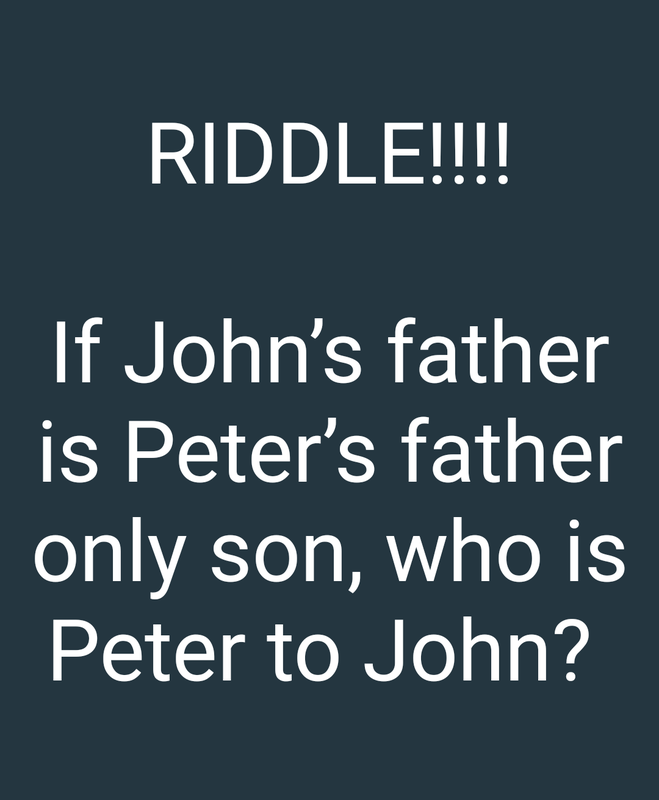 Peter is John’s Father 😄 so easy, see me drawing family tree with my daughters analyzing this riddle . Hehehehe family tree ohhh.infact the riddle is turnioniown! Abeg I get headache. Can't decipher this riddle. Peter's father's only son is Peter and John's father is Peter as well. Therefore Peter is John's father. 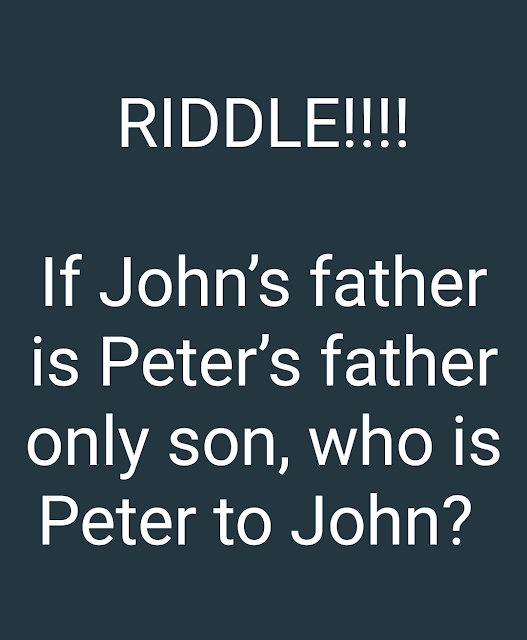 John can't be Peter's father only son because if he is' then who is Peter? Peter and John are brother..
Lol Stella this your blog is a mad house! Plus you plus you bvs are a bunch of characters aswaer. Peter should be john’s father 🤔👍🏻I got it . Peter is the father of John. This post just exposed some dumb bvs. Peter is John's brother????? Really? You see father, only son, for riddle con dey talk Aunty? Na so e hard reach? Peter na John papa shikena! Peter is Uncle to John. Thankfully WAEC never had access to this kind of question in my era. Without examination tension the question be as he get, then plus exam tension, you be dodging from the Arrows shotting from ridiculous answers. John's father and peter are brother's.so,peter and John's father are brother's. However,peter is John's uncle.